Founded in 1978, The Lenbrook Group of Companies has grown from being a national wholesale distributor of commercial two-way communications devices and premium consumer electronics brands, to adding capabilities in manufacturing and global channel and brand management. 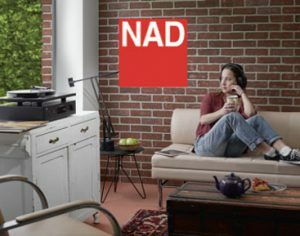 Today, Lenbrook International, a wholly-owned subsidiary of The Lenbrook Group, owns, designs and manufactures innovative technologies and products for discerning music lovers around the world through its three brands, NAD Electronics, PSB Speakers, and Bluesound wireless multi-room systems. Lenbrook also continues its leadership in channel management as a distributor for its own brands, as well as renowned consumer audio brands like Tivoli and B&O Play, through its subsidiaries Lenbrook Americas and Lenbrook Asia, and through an extensive network of distribution partners. Lenbrook Canada Solutions is a national partner to Motorola and Vertex, offering commercial two-way communications devices to a broad array of industries, bringing unparalleled efficiency to commercial communications. Lenbrook Americas markets a full range of premium solutions for serious audio and video enthusiasts including the latest digital media players, home theatre components, loudspeakers, headphones and lifestyle systems. Lenbrook Americas is also active in the Personal Electronics category distributing B&O Play audio products & headphones www.beoplay.com in both the USA and Canada. Tivoli Audio tabletop radios (www.tivoliaudio.com) are distributed by Lenbrook in Canada only. Lenbrook Canada Solutions delivers a full line of two-way communications products through both traditional and non-traditional Canadian retail outlets reaching several key vertical business to business segments and trades including electrical distribution, building/construction, industrial/hardware, and healthcare & leisure industry suppliers. LCS is a major supplier of communications devices and systems to retailers, schools, security companies and the hospitality & food industry. 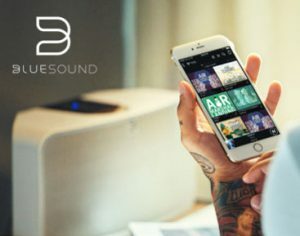 Lenbrook Asia, located in Singapore, manages sales, marketing and distribution activities for our NAD, PSB & Bluesound brands throughout the Asia Pacific region. Our retail showroom in the heart of busy Singapore is designed to inspire Asian distributors and consumers about Lenbrook’s modern hi-fi brand activities. 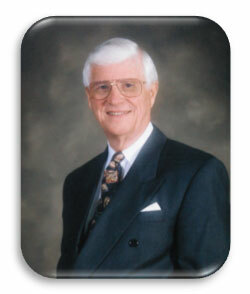 The Lenbrook Group of Companies (Lenbrook) was founded in 1978 by David S. Simmonds and six other partners. Lenbrook began as a national wholesale distributor of electronics components and two-way radio products, but soon moved into the consumer electronics business representing audio/video and telephone products. Lenbrook’s roots are based on the foundation of a family business started by David’s father, A.C. Simmonds. Throughout the years, Lenbrook has been involved in retail activities, technology development, wireless communications and the ongoing distribution and marketing of a wide variety of products. Privately owned, Lenbrook continues in both Distribution Channel Management and Brand Development. Today, the company’s President & C.E.O. is Gordon A. Simmonds. Gord heads a team of experienced and capable leaders across six key business units. The hallmark of Lenbrook is its dedicated and experienced business teams all committed to excellence and leadership in the markets we serve. The Company’s original core business of national distribution in Canada has expanded geographically to include Singapore and all of North America. We are involved in both Business to Consumer (B2C) and Business to Business (B2B) market activities. In these markets, Lenbrook manages selected specialized B2C distribution channels in premium home audio/video, multi-room wireless and personal electronics. In our B2B segment, we provide communication devices to help business customers improve their operation effectiveness and efficiency. Lenbrook serves a diverse customer base including independent retailers, custom home theatre and automation integrators, major consumer electronics retailers, premium incentives suppliers, and resellers or end-users of business radio and communication systems. Since its inception in 1978, Lenbrook has earned a reputation of offering leading edge marketing programs and superior service and has developed successful, long-term “partnerships” with its resellers. 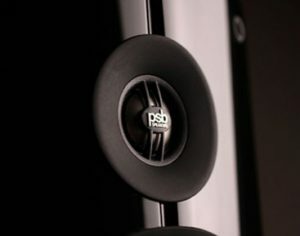 Lenbrook continues to develop its own brands within the premium home entertainment niche of the consumer electronics industry with PSB Loudspeakers, NAD Electronics, and Bluesound Wireless Music Systems. Each brand complements one another’s market position and is dedicated to people who have a heart and soul for music. Lenbrook sells these brands through independent national distribution organizations located in over 80 countries. These distribution partners in turn resell these products through their own in-country network of home entertainment product retailers.